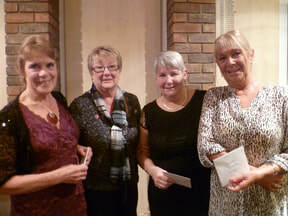 ​Knockout Pairs runners-up, Sheila Moore and Carol Cue. 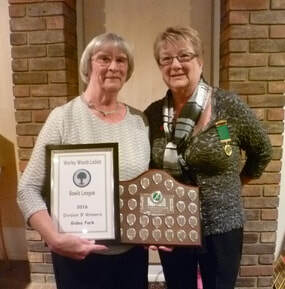 ​Edna Bono receives the Knockout Pairs winners trophy from Diane Veroft. 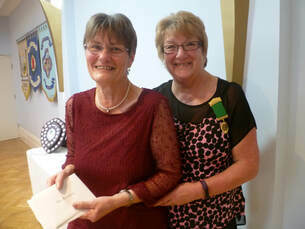 ​Division B runners-up were Romford. 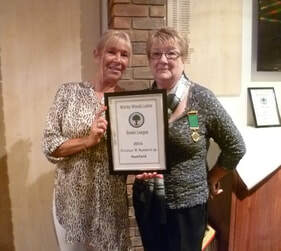 Receiving the award from Diane was Pat Powder. 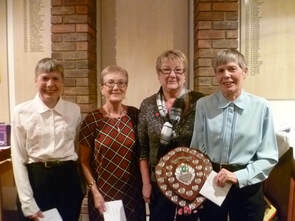 ​Division B winners were Gidea Park. 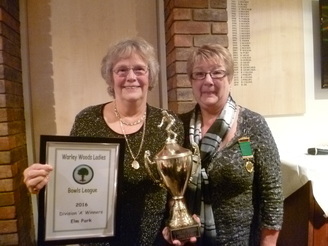 Jean Vale accepts the trophy. 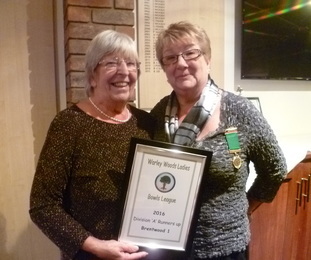 ​Margaret Rayment receives the Division A runners-up award on behalf of Brentwood 1. 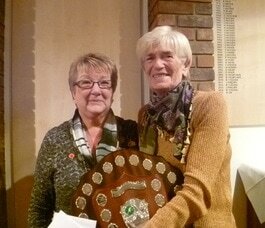 ​Joyce Chaplain receives the Division A winners trophy for Elm Park.